UPDATE 12pm: YESTERDAY'S thunderstorm and heavy rain may have come as a relief to local landowners and farmers. After a couple of months of dry weather, and the recent hot weather, many locals were desperate for some rain. And boy, did we get a lot of it. According to the Bureau of Meteorology, during September Casino received 31mm of rainfall in total, followed by 18.6mm in October. That's compared to the 16.2mm they received between 9am yesterday and 6.30am today. For Lismore these figures were 33mm and 18mm for September and October respectively, compared with the 21.8mm it received overnight. Ballina received 27.6mm of rain in September and 11.4mm of rainfall in October, while they copped a total 46.2mm overnight. THURSDAY 6.30am: THE region copped some wild weather last night as thunderstorms and heavy rainfall hit the Northern Rivers. Power outages were reported last night, with some continuing this morning. Essential Energy report that power outages and disruptions still occur in the areas near Yorklea, Coraki, Broadwater, Tucki, Repentence Creek and Rosebank, among other outlying areas. 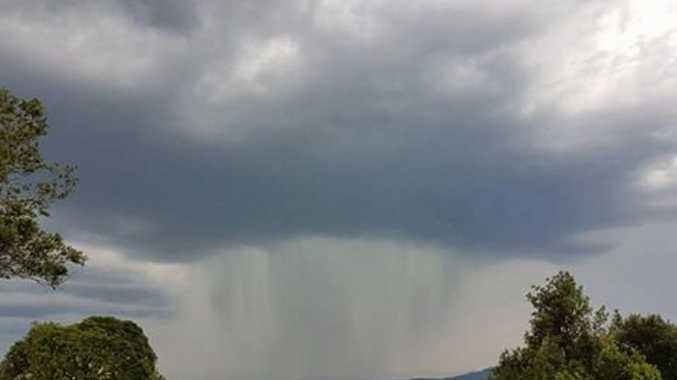 Since 9am yesterday, Lismore has received 21.8mm of rainfall, Ballina 46.2mm, Byron Bay 25.6mm, and Casino 16.2mm. But we are set for a slight reprieve. The forecast for the rest of Thursday is set to be partly cloudy with a 40% chance of showers. There is, however, the chance of a thunderstorm during this afternoon and evening. 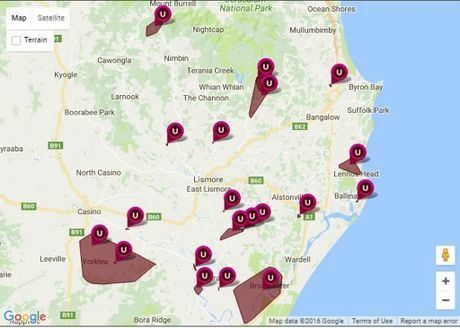 UPDATE 6.05pm: ESSENTIAL Energy are handling mass power outages and disruptions in the region's west. 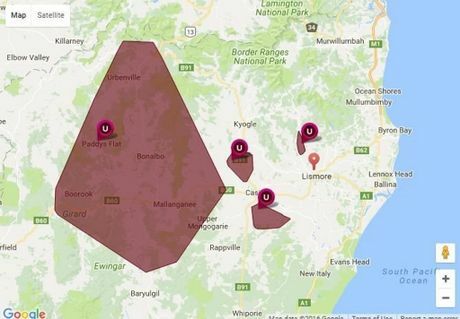 Outages are being experienced in Urbenville, Paddys Flat, Bonalbo and in surrounding towns near Casino and Kyogle. Report fallen power lines or outrages to Essential Energy on 132 080. Power outages across the Northern Rivers. North Coast Storm Chasers have reported that Coraki copped hail and winds of more than 100km/h. Next in the firing line is Ballina, Alstonville, Bangalow and Byron Bay. UPDATE 5.15pm: THE Bureau of Meteorology's latest rain radar shows heavy rain hitting in a band from Casino to Whiporie and moving rapidly east towards Lismore. The latest severe thunderstorm warning issued earlier by the Bureau of Meteorology at 4.55pm is predicting heavy rainfall and flash flooding and damaging area in the Northern Rivers. 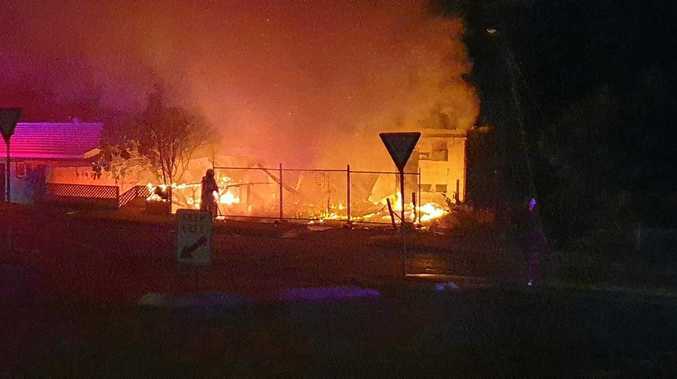 It has said the Lismore area is likely to be affected. WEDNESDAY 4.36pm: THE Bureau of Meteorology has issued a severe thunderstorm warning for parts of the Northern Rivers. Large hailstones, heavy rainfall and damaging winds can be expected over the next few hours. The storms could also lead to flash flooding and damaging winds. The next warning is due to be issued by 6:35 pm.